The live streaming info of India vs Bangladesh (IND vs BAN) 2017 ICC Champions Trophy. Here’s how to watch cricket live score online, commentary, and ball by ball updates on the go for free in HD video on Star Sports and Hotstar TV. Refresh if the stream stops. India vs Pakistan in the final. The defending champions, India will take on their neighbors Bangladesh in today’s semifinal match 2. The winner will get a place in the Champions Trophy 2017 final match. The Bangladeshi team has surprised everyone with their form and winning and then sailing through group matches to the semifinals. However, the form book still favors the men in blue. But, the Indian cricket team should be wary of them and not take them lightly. The match is to be played at Edgbaston. Anything can happen in the game of cricket and it has been clearly witnessed by all. Pakistan defeated South Africa and Mashrafe Mortaza & co. chased down 266. Following is a list of tv channels to watch India vs Bangladesh online. They will telecast/broadcast as the match starts. 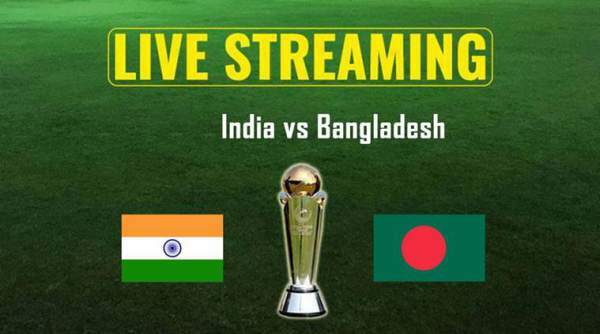 Here’s how you can watch IND vs BAN live streaming and live cricket score.